It is essential for differently-abled individuals to have some level of independence. After all, enabling them to enjoy self-reliance and freedom can be beneficial for their psychological health. One of the great ways to help them achieve this is by allowing them to use handicap vehicles for transportation. When you need to buy cars for handicapped drivers, then it is important for you to know about accessibility features in automobiles. Aside from being a welfare vehicle car dealer, Carused.jp also exports used mobility cars across the world. Moreover, we want our customers to make the best decision for their budget. As such, we’ve put together this article provide our dear readers all the basic information they will need in choosing the right wheelchair accessible vehicle for their needs. What are Wheelchair Accessible Vehicles? Wheelchair Accessible Vehicles start off as standard vehicles. They go through significant modifications, allowing them to become more accessible for wheelchair users. Their design enables differently-abled individuals to travel from one point to another without compromising their safety inside the moving vehicle. It is worth noting that the shape, size, and layout of handicap automobiles vary depending on the original vehicle used for the conversion. That said, all handicap automobiles feature easy access and enable safe transportation for wheelchair users. Operating mobility vehicles is made convenient and simple by various adaptive conversion possibilities, including low-effort steering, automatic ramp systems, and in-floor ramp technology, among others. Needless to say, differently-abled individuals can easily grow accustomed to these automobiles. Moreover, owning a wheelchair accessible vehicle can let them enjoy several benefits, including usability and practicality. These automobiles can make travelling an enjoyable and seamless process. How Safe are Handicap Vehicles? Safety is a universal concern when purchasing any kind of vehicle. Such kind of feature is even more essential when you are a dedicated caregiver of a differently-abled individual. So, it is good to know that owning an automobile specifically designed for adaptive use offers such benefit. Handicap vehicles can come with transfer seating options and power wheelchair lifts. Moreover, they have been redesigned with high-quality equipment which reduces the risk of injury one can suffer while getting in and out of the automobile. There are safety features, including in-floor ramps, wheelchair ties, and other restraint options that will make anyone feel secure on the road. It is common knowledge that mobility vehicles are more expensive than standard cars or vans. After all, they have gone through significant alterations for accessibility. Thankfully, you can still find good units at more affordable rates when you turn to Carused.jp. For car dealers in need of wheelchair accessible cars, You can request Carused.jp for specific wheelchair accessible / mobility vehicles to suit your needs. Click on the button below to request a car from us! When you browse through our collection, you will find several kinds of used Japanese disability vehicles, including ones with front access, rear access, side access, and driver side access. What’s more, you can be certain about the quality of the mobility vans we offer. Trust that we inspect them thoroughly before featuring them on our site. So, you will know exactly what you will get just by looking at the inspection report we’ll provide. As a Japanese-run company, Carused.jp always operates with integrity. Naturally, the used vehicles we have exported around the globe have satisfied numerous customers. 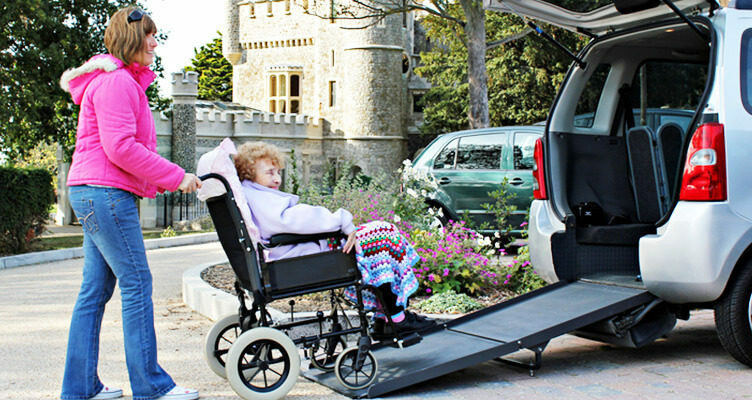 We want to help you get the ideal wheelchair accessible vehicle for your needs. So, we highly encourage you to contact us so that you can provide details regarding your requirements. If you need any other modifications, please do not hesitate to let us know. We can make special arrangements according to your specifications. What are the Differences Between Standard and Mid-Size SUVs?